Bedroom Sets at Bigmickey.ie make it easy to furnish your bedroom of choice. 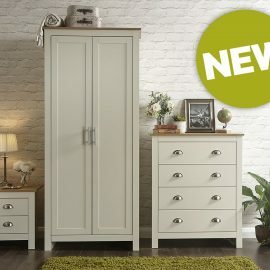 Bedroom Sets include matching wardrobes, lockers and chests in a variety of different styles and colours. 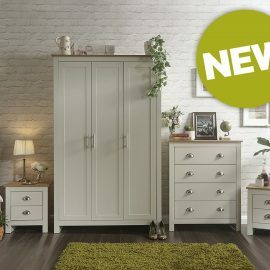 Whether you are in need of some extra storage space or you simply wish to update your interior décor, our collection of Bedroom sets have something to suit everyone. From classic to contemporary, Bigmickey.ie has everything to match your preferred style and size to fit your space. A great priced 3 piece bedroom furniture set which includes a two-door wardrobe, three drawer chest and a one drawer nightstand. Plastic drawer runners and handles. Available in White, Oak, Espresso Brown or Walnut finishes matching most décors.